There is a need to promote financial literacy in Sarawak. The lack of financial management skills is a significant issue in Sarawak and has deteriorative impacts on youth and families. Many families are caught in financial problems due to their limited knowledge and skills to manage money. 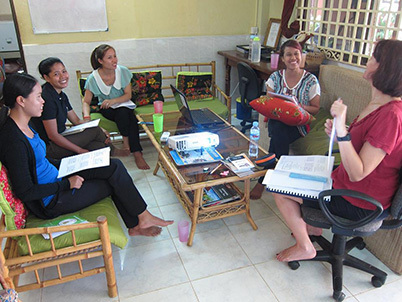 PurpleLily is an NGO which promotes Financial Literacy and Women Empowerment in Sarawak. 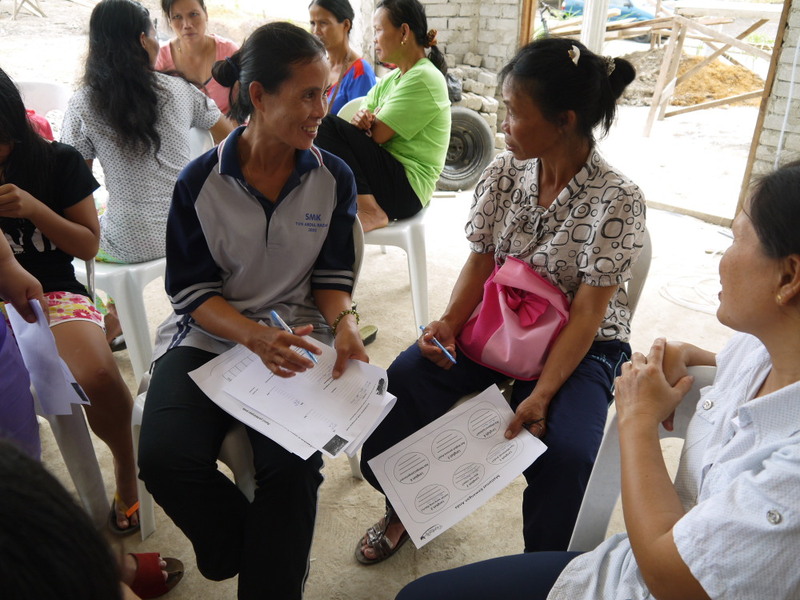 Since May 2012, We have delivered Financial Education and Life Skills training for over 3000 women in Sarawak. We are conducting training to meet the needs of women from low socio-economic status by strengthening their confidence and knowledge to improve their finance situation. We are also running Training of Trainers (TOT) projects, which train local women to become Associate Facilitators, and they would go back to their respective communities to train other women. Help women from low socioeconomic background to build confidence and motivation, teach them basic financial planning skills and tools. Promote financial literacy in rural families and trained women to be the agent of change in their families and communities. To develop greater financial awareness in Sarawak. To empower young school girls of their mental and socio-emotional capabilities. We conduct Life Skills trainings which includes: Building Confidence, Stress Management, Motivation, Goal Setting, Communication, Presentation Skills, Positive Thinking, and Five Healthy Habits. Our Financial Education program is a comprehensive and structured learning curriculum that consists of "step by step approach" of financial management skills. The women are taught about expense tracking, cash flow management, saving plan, budget making, emergency fund and money-wise tips. Our workshop facilitators are qualified Financial Literacy Trainers of 1Azam certified by The Credit Counselling and Debt Management Agency (AKPK) under Bank Negara Malaysia. Meena worked as a cleaner and she remained many years as a low-income earner, saving only RM25 to RM50 every month. Meena attended PurpleLily's financial management and life skill training workshops in 2012. The workshops helped Meena to set specific financial goals, track and manage her monthly expenses, create a financial budget and plan. Meena is motivated to do extra part-time work after the workshops. She managed to reimburse her car loan and has been saving RM 350 per month. Meena is a different person now as she has become a confident woman compared to before. 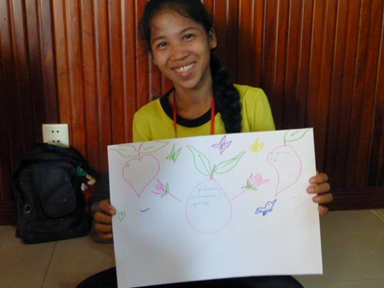 To show her gratitude to PurpleLily, she volunteered for us as a translator in our community project. Meena has also helped a friend of hers to overcome problems by using the strategies learnt from PurpleLily workshops. "I feel very lucky that I was selected to participate in PurpleLily Training of Trainers (TOT) program. This is my best chance to help the women in my village. PurpleLily has helped us women to improve our lives. I can see how the participants have begun to apply what they have learned from the workshops in their daily lives, especially in financial management." Dedicated to you from PurpleLily will be posted on our Facebook page. A PurpleLily T-Shirt and PurpleLily Thank You Card. to you from PurpleLily, your kind support will be acknowledged in our Newsletter and Facebook page.